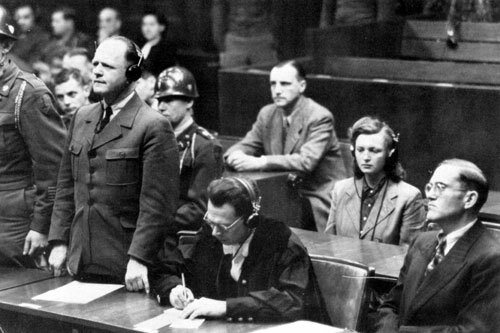 Luftwaffe field marshal Erhard Milch sentenced to life imprisonment by the Americans at Nuremberg. At his side, his lawyer Dr Friedrich Bergold. I HAVE read today your article on the bashing of FM Erhard Milch of the Luftwaffe by a British brigadier that you identify as Brig. 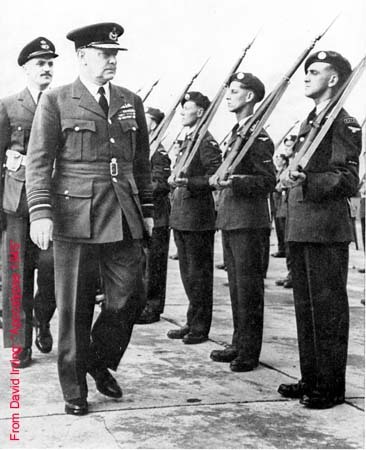 Derek Mills-Roberts, DSO, of the Commandos, and I found it abominable that a British general officer would stoop to such outrageously base and cowardly malicious conduct against a captured officer. However, for all my disgust, I am not really surprised that a high-ranking British army officer (or a British soldier, sailor, or airman of any rank, for that matter) should vent his spleen on an invalided German officer. The British are simply that kind of people. I have always maintained that the British in war (or peace if you include instances of football hooliganism) are a particularly vindictive, hateful, and nastily chauvinistic lot motivated less by a sense of professional duty or conviction (unlike the Germans) than by a spiteful hatred and deep malice. The Germans were generally better soldiers, man for man, than their enemies and in the case of the British, the Germans were to be punished and made to pay for having committed the worst of all crimes against the British nation: being the moral, physical, and tactical superior to the British soldier in battle and for having the temerity to inflict physical defeat at both a tactical level and strategic level on the British army. 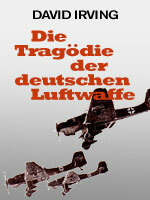 The absolute malicious and murderous intent against German civilians (noncombatants) behind the area-bombing campaign prosecuted by the aptly nicknamed "Butcher" Harris, the persistent unlawful killing of German prisoners of war in the field (especially by members of such units as the Parachute Regiment and the Commandos, be they from the Army, Navy, or Royal Marines), the atrocities committed against German civilians (noncombatants once again) in the invasion of western Germany by members of Montgomery's 21st Army Group, including the strafing by aircraft of the 2nd Tactical Air Force of German refugee columns composed almost entirely of civilians, mostly women and children (those damned noncombatants yet again), and the list goes on. It is clear to this reader of military history that during the Second World War, the British were not an honourable enemy in fighting against the Germans. Indeed, Britannia's sons were far too often far less honourable than their more detached and professionally-motivated European enemy, the Germans. It is clear to me at least that German soldiers in the field frequently behaved far more decently and honourably towards defeated enemies than the British ever would. And yet the Germans are slandered and libelled to this day as the villains of the piece, as "war criminals", and a host of other morally-offensive terms cast in their face when in fact they were frequently the moral superiors to so many of their enemies, east or west, including, it seems, a British brigadier. Victis vae is sadly a fact of life for Germany and the German nation. I am pleased, Mr Irving, for the contributions you have made in your books in trying to set the record straight and to redress this appalling and massive imbalance of opinion against the German people which is based on nothing more than the propaganda of yesteryear, the distortion of historical events by vested interests, and both the overt and covert falsification of history by those same interests. It is certainly my hope that one day the full truth concerning the Second World War will be known and that it gains the widest possible currency. The truth deserves nothing less.